The figure which was famously plastered on the Brexit campaign bus was false. It failed to account for the UK’s rebate. The true number is around £199 million per week. The reality of Brexit is rather different. One potential consequence could be catastrophic. It cannot be a coincidence that just before the House of Commons debated Theresa May’s withdrawal agreement a major announcement was made about the future of the NHS. The plan was promised last year when May pledged an extra £20.5bn a year for the NHS within five years. It does not address the growing UK-wide crisis in social care. The plan is also for England but Northern Ireland can expect proportionate extra funding through the Barnett formula. Much of the debate around health and Brexit has centred around the impact on research programmes and their funding and access to medicines and equipment if there were to be a hard Brexit. Whilst these are potentially very serious the most concerning implication of all has rarely been touched upon. It is the impact on the workforce. Northern Ireland, just like the rest of the UK is already experiencing damaging shortfalls in both nurses and social care professionals. Social care is especially badly hit. Social care also happens to have a much higher dependency on staff from other European countries. The number of non UK Europeans working in social care across the UK rose by 40% between 2010- 2013. Today they account for around 7% of the entire workforce. The figure for health workers is 5.6%. All those currently working in the sector will be allowed to stay. But the crisis continues to grow. According to the King’s Fund around 350,000 people leave social care every year and across the UK 6.6% of positions in the sector are vacant. EU nurses are leaving the UK in droves (there was an increase of 67% leaving the UK registry last year) and there’s been an 89% drop in new recruits from Europe. Former Brexit Secretary David Davis said two years ago that it would take “years and years” to replace them with UK workers. And given the current low unemployment rates and poor pay packages available in the care sector, it is hard to see how this can happen at all. Furthermore the challenge for health and social care is not merely filling vacancies. In Northern Ireland there are 10,000 people living in residential homes and 23,000 receiving care in their own homes. The government’s statistical agency estimates that this need will grow by 15% in the next two years. This will require a lot more staff. 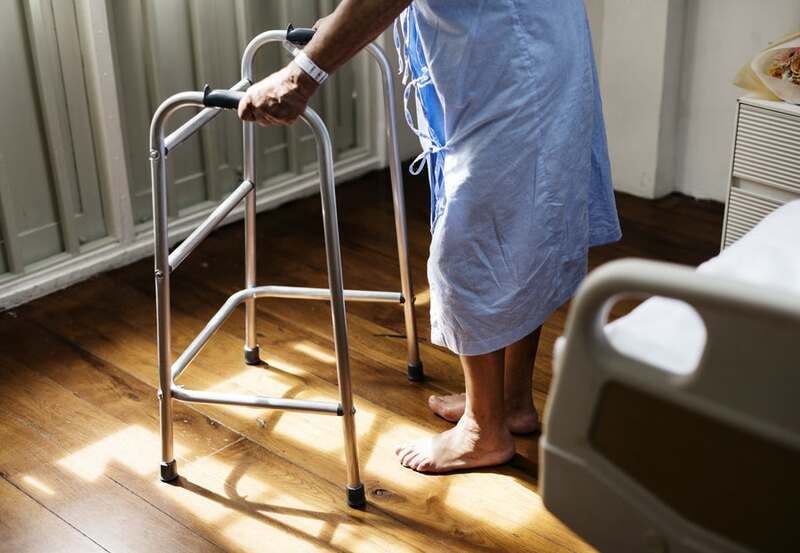 At the same time the Royal College of Nursing tells us that half of all nurses in the health system are within 10 years of being eligible for early retirement. Already these shortfalls are increasing the dependency on expensive agency staff. They are also contributing to “bed blocking” because they mean less care packages are available to help those ready to leave hospital. In Northern Ireland the problem is more acute. This year the UK minimum wage rose to £8.21 for workers over 25 years. In the Republic it is higher at €9.80 , a difference exacerbated by a falling Sterling. This makes recruitment difficult, especially in border areas. The Department of Health's announcement of additional funding to help with recruitment is welcome, but does not address the underlying structural issues that have brought the crisis about. There is little indication that the situation will improve. Brexit in itself is already having a chill factor on those from Europeans who are looking for work elsewhere. But the real killer for social care is that the Home Secretary’s proposed new policy for immigration post Brexit prioritises highly-skilled workers. There is nothing wrong with that per se. But instead of assessing immigrants by their skills the policy sets a threshold of £30,000 per annum salary. This excludes care workers. They are skilled and do extremely valuable work, but their salaries average around £16,000 per annum. This leads us back to David Davis and the question of locally recruited staff replacing migrant workers. The only way to address this would be to pay care workers a salary which reflects their skills and their value. Quite rightly people want to be able to earn a decent living. If caring for older and vulnerable people pays less than stacking supermarket shelves then it is not hard to see why there are so many unfilled vacancies. The same argument applies to migrant workers as well. Some might have come to work in social care but will go and work elsewhere if there is a better salary attached. The problem is not just recruiting staff but retaining them as well. Power to People, the Expert Panel Review on Adult Social Care recognised this. It recommended fairer remuneration for adult social care professionals. A recent Citizen’s Assembly on social care came to the same conclusion. This would be a popular measure despite the attendant costs. The trouble is that this cannot happen for Northern Ireland unless and until we have a government in place to allocate the necessary resources and mandate the change.